On April 8, 2013, Annette Funicello, one of Disney’s most popular 20th century icons, passed away after a 25 year struggle with multiple sclerosis (MS). She was 70 years old. 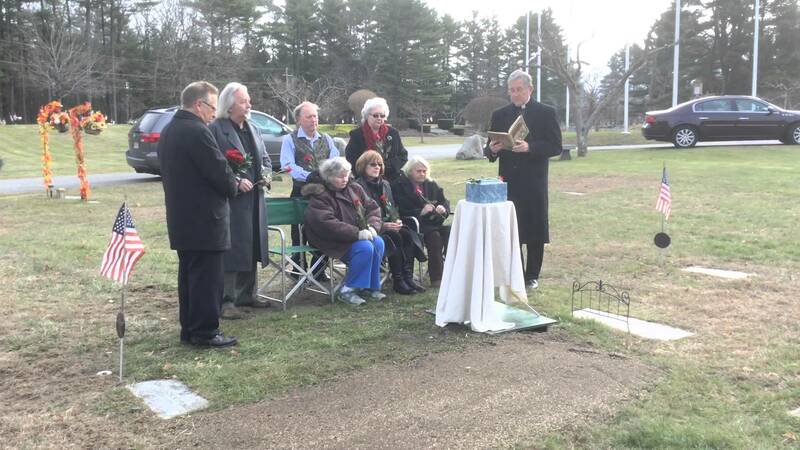 April 8, 2018, marked the 5th anniversary of her demise. Annette’s career as an actress, singer and dancer was followed by millions of fans around the world. She was known for her upbeat attitude, openness and passion for life. Despite battles with her health, she lived a full and enriching life. In sickness and in health, Annette Funicello was a force to be reckoned with — a life worth remembering. Annette Joanne Funicello was born on October 22, 1942, in the city of Utica, New York. As the family’s first grandchild, she was, by her own admission, spoiled rotten. By the age of 2, Annette could recite the words to every tune listed in hit parade, with “Ac-cent-tchu-ate the Positive” being her absolute favorite. At the age of 4, Annette’s parents relocated to California in the hopes that the move would help them improve their economic situation and provide themselves and their daughter with a better life. At first, they stayed at a trailer park in Studio City while her father looked for a job but later they settled in Encino. Many of Annette’s fans would be surprised to know that, as a child, Annette was very shy. Her parents enrolled her in music (she played drums) and dancing classes to boost her confidence and self-esteem. At the age of 9, she won the title of Miss Willow Lake in a beauty contest and began to do some child modeling. Although her music and dance lessons helped to bring out hidden talents, her shyness remained a part of her nature throughout her career. In the end, her shyness would become an asset as it made her much more appealing to her audiences. At the age of 12, Annette danced in an amateur production of Disney’s “Swan Lake” conducted by the Margie Rix School of Dance at the Starlight Bowl in Burbank, California. As fate would have it, Walt Disney was a part of the audience. He immediately took a liking to Annette and extended an invitation for her to try out for a new children’s variety show he was working on called The Mickey Mouse Club. She was the 24th and final Mouseketeer to be chosen, handpicked by Disney himself, and appeared with her fellow Mouseketeers in the show’s premiere in October of 1955. It wasn’t long before this precocious 13 year old became the star of the show, dazzling audiences with her beauty and charm. In just a few months, the fan mail began to pour in, with Annette receiving over 6,000 letters every single month. (The only celebrity to receive more mail from fans was Elizabeth Taylor.) As an attractive young teen, Annette also received gifts of watches and rings from boys across the country along with invitations for dates and parties. The gifts were promptly returned by Disney staff members and date invitations courteously declined. The impression Annette made, however, was a clear indication of the fame to come. The Mickey Mouse Club was the brainchild of Walt Disney. The variety show made its debut on ABC October 3, 1955. It was a one hour children’s show scheduled for the afternoons — prime time – five days a week to ensure it got maximum exposure. The show’s cast was composed of children called Mouseketeers and it featured skits, song and dance, Disney Newsreels, serials and, of course, lots and lots of Disney cartoons. With her talent and charm, Annette fit right in with all the other children. 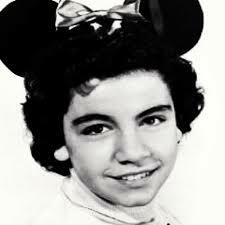 It wasn’t long before she stole the spotlight and became the nation’s most beloved Mouseketeer. It was the diversity and vitality of The Mickey Mouse Club that kept children (and adults) coming back for more week after week. Each day had its own theme. Monday, for example, was ‘Fun with Music Day;’ Tuesday ‘Guest Star Day;’ Wednesday ‘Anything Can Happen Day;’ Thursday ‘Circus Day;’ and Friday ‘Talent Roundup Day.’ The Mouseketeers performed skits, songs and dances around the theme to entertain and educate their audience. Over the next two years, Annette and her fellow Mouseketeers sang and danced their way into the hearts of the American public, attracting the attention of TV audiences far and wide. All the while, Annette’s popularity continued to rise, reaching such epic proportions that people dubbed her ‘America’s sweetheart.’ When people spoke of Annette, no one had any doubt they were talking about Annette Funicello. Along with the Mickey Mouse Club show, Disney created a line of Mickey Mouse products ranging from beanies to toys, books, clothing, household goods and more to sell to the public. Annette’s popularity put Mickey Mouse goods in the limelight, making them easier to market and sell in large quantities. Interestingly enough, the debut of The Mickey Mouse Club on national television coincided with the grand opening of the first Disneyland Park in Anaheim, California. 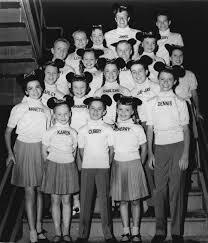 Annette and other Mouseketeers made regular appearances at the park, promoting the variety show and Disney products. After the series was cancelled, Annette continued to visit Disneyland, welcoming guests from foreign countries and enjoying the park with friends and family. 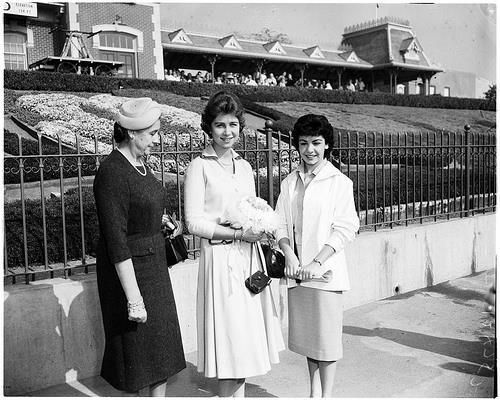 In 1958, she was there to receive Princess Sophia for Greece. In 1959, she was photographed having a ‘date nite’ with a male companion. In 1968, Annette attended a Mouseketeer reunion at Disneyland to commemorate their years of friendship. In 1996, Annette and longtime friend and co-star Frankie Avalon were honored guests for a special parade held on Main Street, USA. Like the Mickey Mouse Club, Disneyland was designed to be a major attraction for kids and adults alike. With that in mind, Disney divided the park into numerous kid-friendly areas, each featuring a different theme like jungle, westerns, fairy tales, adventure, fantasy and Main Street, USA. Main Street was to reflect the pure and simple lifestyle of the early 20th century in ‘small town’ USA, similar to the town in Missouri where Disney had grown up. In short, Disney designers were to reconstruct an idealized version of the rural community Disney lived in as a child. Annette Funicello – the curly haired, wide eyed Italian-American teen who took America by storm — arrived just in time to partake of the Disneyland dream. Annette was not a natural singer yet people loved to hear her songs. In the “Annette” serial, she introduced the song “How Will I Know My Love” to the public and to everyone’s surprise, it became an instant success. The song eventually became the catalyst that launched her singing career. Although Disney wasn’t planning on Annette becoming a singer, her fans had other ideas. The song was so popular, Disney couldn’t resist releasing it as a single. He followed up by giving Annette her first recording contract even though she insisted she couldn’t really sing. In an effort to boost her confidence, Disney hired composer and record producer Salvador “Tutti” Camarata to oversee all of Annette’s recordings. Annette’s lack of confidence in her singing stemmed from not having professional vocal training. The absence of vocal training, however, turned out to her advantage as it gave her recordings a natural, down-to-earth touch that her fans loved. What Annette lacked in technical skills, she more than made up for in personality and charm. Upon its release in 1959, “How Will I Know My Love” sold in excess of 200,000 copies virtually overnight. Although Annette wasn’t comfortable with singing, she wound up recording numerous hits in the late 50’s and 60’s. “Tall Paul,” “Train of Love,” “First Name Initial,” and “Pineapple Princess” were among some of the most well-known Annette Funicello songs. Many of her top hits were composed by fellow performers like The Sherman Brothers and Paul Anka. Most of her songs were upbeat with funny, wacky themes as opposed to having deep and somber meaning. Needless to say, her bubblegum pop music greatly appealed to the youth of her day. Despite her show business success, Annette and her family continued to live a conservative lifestyle. Her father held a job at a local gas station and Annette was expected to pitch in with household chores when she was at home. Dating was a strict no-no until Annette reached the age of 16. Annette would be an integral part of The Mickey Mouse Club for two years until the show ran its course and was canceled by Disney in 1958. Although her stint on the show had come to an end, her relationship with Disney, both on a personal and professional level, was far from over. Rather than say goodbye and go their separate ways, Disney offered Annette a long-standing studio contract, making her the only Mouseketeer to receive such an offer. The reason for the contract was obvious: Walt Disney clearly recognized the talents that this fresh, young performer had to offer and wanted to play a major role in establishing her career. After the Mickey Mouse Club came to an end, Disney began casting Annette in popular TV shows running at that time. She appeared in “Zorro” in 1957, “The Nine Lives of Elfego Baca” in 1958 and “The Horsemasters” in 1961. She also starred in various Disney films to include The Shaggy Dog, Babes in Toyland, The Misadventures of Merlin Jones and The Monkey’s Uncle. The filming of these many TV shows and movies kept Annette busy for the next six years, from 1959 to 1965. Later, when asked which show or movie was her favorite, she didn’t hesitate in choosing Babes in Toyland. As Annette’s popularity grew, she began to receive offers from other entertainment executives who wanted to take advantage of her talents and skills. Disney, however, was extremely protective of his teen star and wasn’t keen on having Annette portrayed in the wrong light. This attitude changed when Disney was presented with the script for the movie “Beach Party” by American International Pictures (AIP). Disney was captivated by the concept of beach movies that were entertaining, wholesome and fun. His one condition, however, was that Annette not wear beachwear that displayed her naval as he felt it was inappropriate for her image. 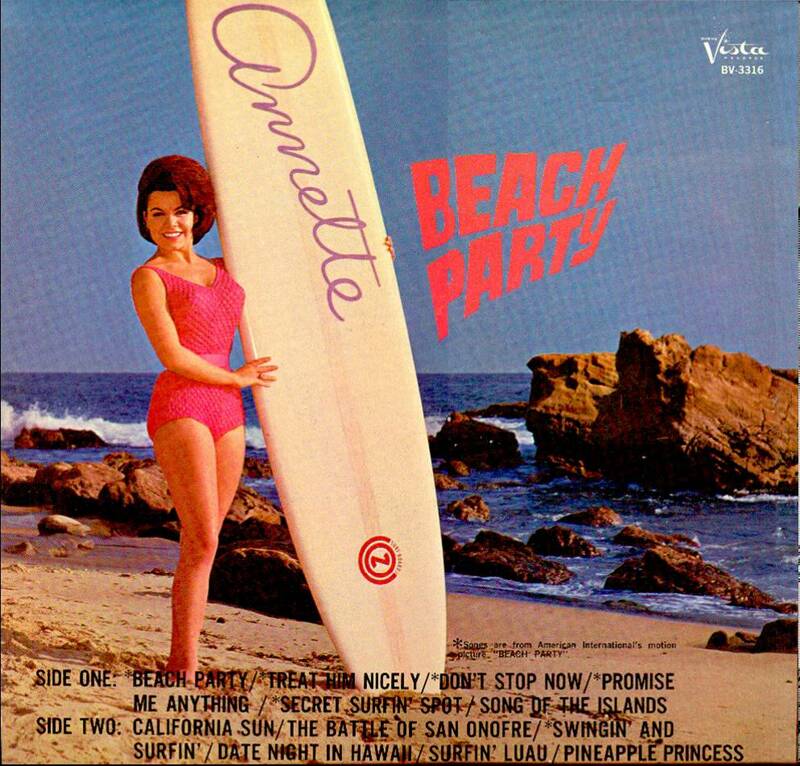 Upon his approval, “Beach Party” became the first of a series of wildly popular beach films that paired Annette with pop icon Frankie Avalon. At the time, Frankie had already established a musical career with such hits as “Ginger Bread,” “I’ll Wait for You” and “Venus.” He had also acted in various movies, giving him some experience in the industry. The beach films, however, were a tremendous boost to his career. By combining surfing with girls in bikinis, pop music and romantic comedy, these films struck gold with teen audiences all over the country. The movies themselves cost very little to produce but collected a fortune in ticket sales which benefited the producers and actors alike. The success of “Beach Party” prompted a line of sequels to include “Muscle Beach Party,” “Bikini Beach,” “Beach Blanket Bingo” and “How to Stuff a Wild Bikini” in the years to follow. The films catapulted both Annette and Frankie into the limelight as teen idols. Due to the enormous success of the first film, Annette was signed to a seven year contract with AIP. The beach films gave her greater exposure and experience as an actress. Throughout the 1960’s, Annette Funicello and Frankie Avalon were featured as beach picture icons, wooing the hearts of young fans across the country. Twenty years later, in 1987, Annette and Frankie teamed up once again to portray parents of difficult teens in a movie from Paramount Pictures called “Back to the Beach.” Two years later, 1989, the pair organized a concert tour that took them across the country performing their famous beach hits from the 60’s. On January 9, 1965, Annette Funicello tied the knot with Hollywood agent, Jack Gilardi. The byline on the “Peanuts” comic strip that week pretty much summed it up when Linus wailed: “How depressing. … ANNETTE FUNICELLO HAS GROWN UP!” She was 23 at the time. By year’s end 1965, Annette had officially put her career on the back burner to focus on married life. 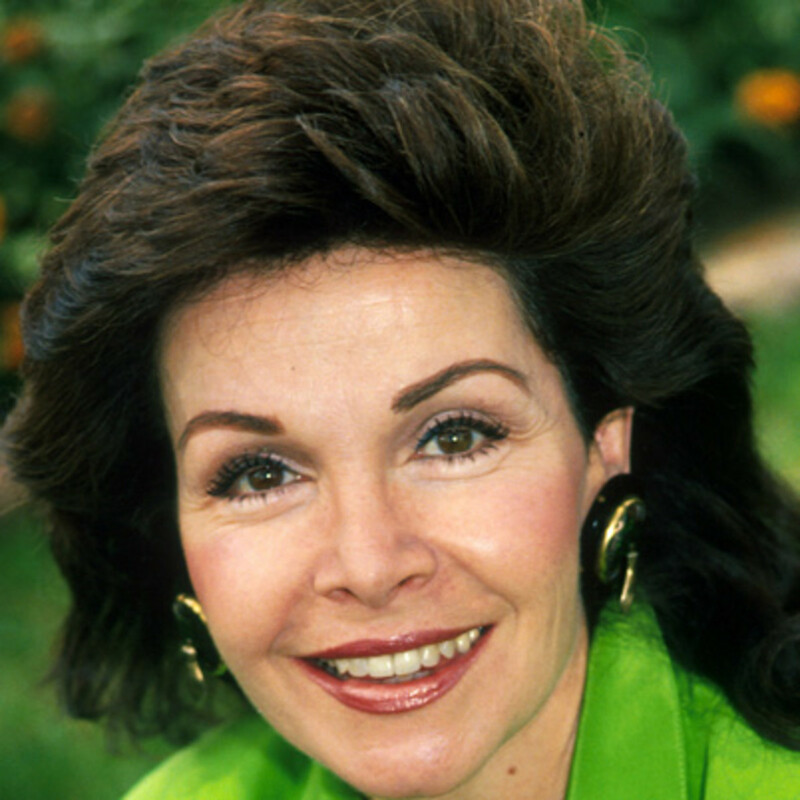 Her marriage and subsequent pregnancy put an end to the Annette Funicello beach party image and opened the door to the wonders of motherhood and being a wife. Although she made a few films in the mid and late ’60s, (Fireball and Thunder Alley), motherhood was her main focus once the couple started to have children. In the 70’s and 80’s, her brief TV appearances were limited to doing commercials for Skippy Peanut Butter. Annette’s marriage to Jack was to last 16 years before ending in divorce in 1981. During that time, she had three children. The oldest, Gina Portman, was born in 1965. 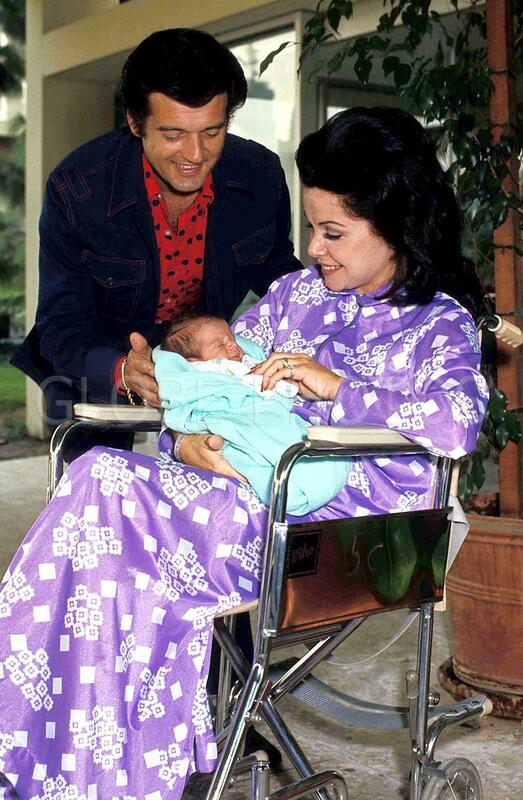 In 1970, Annette gave birth to a son, Jack Jr. Four year later, 1974, Jason was born. Motherhood seemed to agree with Annette, who always wanted to have a large family. In a 1994 interview with Style Magazine, Gina — her eldest daughter — verified her mother’s passion for parenting by saying she was “always there for car pools, Hot Dog Day and the PTA.” Annette had gracefully put her career aside to love and care for her family. Being there for her children was important to her, not just the socially acceptable thing to do. Five years after divorcing Jack, Annette married again, this time to horse breeder Glen Holt in 1986. Glen was an ex-police sergeant from the Shafter Police Department in California. His love for horses and horse racing led him to eventually leave the police force and open his own farm which he called the Diamond HR Ranch to board, breed and train race horses. The couple originally met in 1962 at Hollywood Park where Annette was racing her horse Troy Hedgewood, a gift from her parents. Annette shared Glen’s love for racing and often accompanied him to Los Alamitos Race Course and Fairplex to watch the competitions. By this time, she could no longer walk due to her MS condition and was confined to a wheelchair. Her condition didn’t deter Glen who simply wheeled his wife out to the tracks so she could continue enjoying the sport that she loved. Glen Holt would stay with Annette throughout the latter years of her affliction, up to the time of her demise. In March of 2011, Annette’s longtime Encino home unexpectedly caught fire, forcing Annette and Glen to leave. Other than suffering from smoke inhalation, no one was harmed. The fire prompted Annette and Glen to move to a ranch they had purchased decades earlier located north of Bakersfield. The ranch became their new home until Annette died. In 1987, Frankie Avalon and Annette Funicello teamed up once again to film “Back to the Beach”, a movie in which they would play the role of parents to two rebellious teens. Unbeknownst to Annette at that time, this was ultimately to be her final role. During filming, she began having problems walking and experienced weakness in her legs, particularly during dance numbers. These were the early symptoms of multiple sclerosis, the disease she was eventually diagnosed with. Multiple sclerosis (MS) is a chronic disease that causes irreversible damage to the nerves in a person’s brain and spinal cord. MS symptoms range from numbness to loss of muscular control, speech impairment, blurred vision and extreme fatigue. As symptoms progress, MS victims lose their ability to walk, talk, move, eat or conduct bodily functions. In 1994, after publishing her memoir “A Dream is a Wish Your Heart Makes,” Annette decided it was time to share her MS story with the world. She scheduled a series of talk show interviews where she could explain more about the disease and how it was changing her life. She began by sharing the conversation she had with her neurologist when receiving her MS diagnosis and chronicled the difficulties she faced, her prospects for the future and her desire to help others facing similar situations. Multiple sclerosis symptoms can start anywhere between 20 and 40 years of age. According to her neurologist, Annette was fortunate in that her symptoms started much later in life, around the age of 45, as this enabled her to live a healthy and active lifestyle up until that time. When she was first diagnosed, Annette confessed to being ignorant about this condition, not having had any previous knowledge or experience with the disease. Taking into consideration she was in good physical condition, she felt her decline would be slow in coming. Unfortunately, it was not so to be. Subsequent talk show interviews featuring Annette Funicello on TV and Youtube revealed just how much her health had suffered within a short amount of time. In 1998, Annette was interviewed for the last time in her home by Mary Hart from Entertainment Tonight. In this interview, her final public appearance, Annette could hardly speak or move at all. 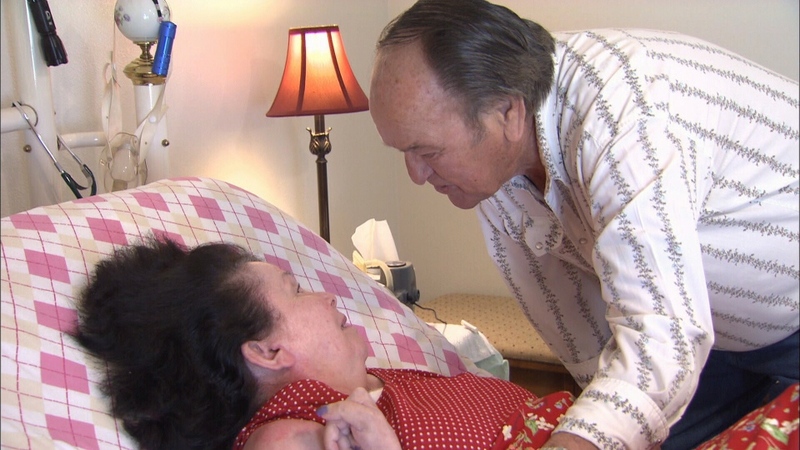 Six months prior to her death, Annette’s husband had invited a Canadian film company to come to their home to document life with an MS patient. His intent was to give the public a realistic view of the devastating effects of the disease. It was Glen’s hope that, knowing the truth, people would be more encouraged to give towards MS research and development of a cure. Annette and Glen’s openness toward the disease made a tremendous impact in reaching people with their message of support. Her honesty and positive attitude gave hope to hundreds, if not thousands, of others in similar situations. Annette made a lasting impression on most everyone she met. The ‘girl next door’ image that she portrayed in the movies was every bit as real in her everyday life. Although the Mouseketeers went their separate ways after the show was cancelled, they remained friends and kept in touch as much as they could. When asked about Annette and what she was “really like,” her fellow Mouseketeers had only good things to say. “Annette’s squeaky-clean image wasn’t fake,” ex-Mouseketeer Tommy Cole told Closer Weekly. “She was a genuinely nice person” who cared about her fans, family and friends. When she was diagnosed with MS, Annette was concerned how her fans would react. She didn’t want her condition to come between her and those she loved. MS may have taken Annette’s physical health, but it never dampened her spirit. She continued to exhibit a positive, sunny disposition, despite her difficulties and pain. Like anyone else, she had her good days and bad. Her fighting spirit and caring heart, however, remained until the end. After she died, the Hollywood Museum honored her with an exhibition entitled “Annette: America’s Girl Next Door,” highlighting her remarkable career. In 1994, Annette’s autobiography — as dictated to celebrity biography author Patricia Romanowski — was released to the public. 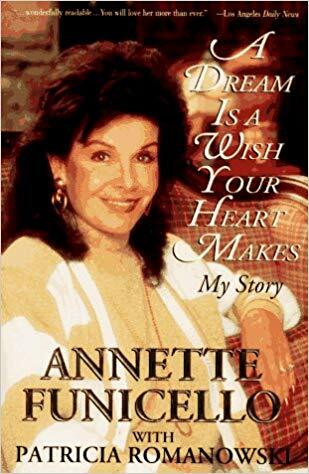 Annette entitled the book “A Dream is a Wish Your Heart Makes: My Story” after a favored song from the Disney movie “Cinderella.” A year later, a television movie was produced based on her autobiography. Over the space of 20 years, from her “discovery” as a young teen to the time of her first marriage, Annette Funicello established a professional career she could be proud of. She was an accomplished singer, actress and dancer whose collective works entertained audiences from all sectors of society. She was loved and respected by fans, family and colleagues alike. Her hard work had earned her a net worth of approximately $15 million. But net worth alone wasn’t an indication of the legacy Annette Funicello left behind. Annette’s achievements weren’t limited to her show business fame and fortune. She had a genuine desire to help others and make a positive contribution to society. Through talk shows and live speaking engagements, she lent her voice to promote charitable causes and raise awareness of MS and other diseases. With the help of her husband Glen, she raised thousands of dollars in financial support for worthy causes. Throughout her personal life and show business career, Annette stayed close to those she loved. Walt Disney was one of those individuals. Annette looked upon Disney as a father figure saying “He was the dearest, kindest person and truly was like a second father to me.” Disney, in turn, accepted the role graciously, watching over her and making fatherly recommendations throughout her career. When Annette wanted to change her last name from “Funicello” to “Turner” as it sounded more American, Disney advised against it, saying “Funicello” would be much better remembered by her audience. Disney also encouraged her to dress conservatively (one piece swimsuit) in the beach films and not reveal her naval to maintain her “wholesome” image. (Note: As the sequels progressed, this dress code became less stringent). Despite being close, Annette respectfully referred to the entertainer as “Mr. Disney” throughout their relationship. Upon her demise, Disney CEO Bob Iger summed up their relationship by saying, “Annette was and always will be a cherished member of the Disney family, synonymous with the word Mouseketeer, and a true Disney Legend. It was Annette’s innocence and charm that attracted the attention of the American public in the 50’s and 60’s era. From the very start, it was apparent that Annette Funicello was different than other teen stars. Walt Disney may have been the first to catch a glimpse of her talents in the dance recital of “Swan Lake,” but he certainly wasn’t the only one. Over the years, her fairy tale story would lead her to become one of America’s most cherished teen idols. Annette personified what was good and right in American culture in her time. Despite her rise to fame and glory, she remained her down to earth, non-pretentious self throughout her career. Fame and fortune never changed who she was at heart which spoke volumes about her character.